CarGurus has 51,543 nationwide Edge listings starting at $2,900. Entering its third generation, Ford’s popular Edge is primped and preened, re-powered and updated for 2015 to expand on U.S. sales and to stand primed for overseas markets. 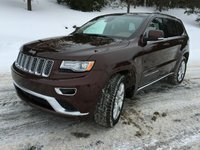 Based on the capable Fusion sedan, this 5-seat midsize crossover is touted to ride smoother as it gains a new suspension system, while a new trim, the flagship Titanium, as well as one reworked and one brand-new engine choice should add immeasurably to this capable carryall’s cachet. Additionally, some added length and girth increases not only passenger room, but boosts cargo area to a total of 73.4 cubic feet with the rear seats folded. In further gaining a slew of new high-tech equipment, a redesigned dashboard and center stack, and a slew of upgraded standard and optional features, therefore, this already handsome, agile and peppy mini-ute appears ready to conquer the world when sales begin early in 2015. Meantime, look for the revamped Edge lineup to return the base SE, the up-featured SEL and the performance-oriented Sport trims for next year, while the once-midlevel Limited is officially dropped in favor of the now top-shelf Titanium trim. Again, all iterations are expected to be delivered in standard front-wheel-drive (FWD) garb, while full-time all-wheel drive (AWD) of course remains optional and is rumored, for this upcoming year, to be offered with all powertrain selections. Speaking of powertrains, the standard turbocharged EcoBoost 2.0-liter inline 4-cylinder (I4) engine has, according to Ford, been tweaked to put out 245 hp (5 more ponies than the 2014 edition) while retaining the traditional 270 lb-ft of torque when mated with the ubiquitous 6-speed shiftable automatic transmission that will now sport steering-wheel-mounted paddle shifters. Mileage figures, alas, have yet to be determined, but for 2015, auto engine stop/start technology, whereby the engine automatically shuts down at a stop and restarts when the brake pedal is released, will be optional with this up-powered mill. Brand spanking new for 2015 is a 2.7-liter turbocharged (EcoBoost) powerplant that Ford claims will put out over 300 hp and should approach 370 lb-ft of torque when combined with the 6-speed shiftable automatic. This newest power offering is slated to be offered as an option only in the Sport trim, and again mileage numbers are as yet unavailable. Returning standard in the Edge Sport and expected to also endow the debuting Titanium variation is the potent normally aspirated 3.6-liter V6 engine of yore. Managed by the traditional 6-speed shiftable automatic but fiddled and finagled to accommodate future emissions expectations and the latest electric power-steering upgrade, the 6-banger suffers the loss of 20 horses, down to 265 hp, but it should retain the 280 lb-ft of torque from 2014. Mileage is, however, expected to top the estimated 19 mpg city/26 highway in FWD trims and 17/23 in AWD versions generated by the last-gen iteration. Further new standard and optional equipment scheduled to be introduced in select 2015 Edge trims, by the way, includes a reworked, fully independent suspension and adaptive steering (standard in Sport and Titanium trims) that allows less low-speed effort and crisper high-speed maneuvering. Furthermore, a new-for-2015 180-degree front camera that integrates with a new Enhanced Parking Assist feature allows this crafty crossover to all but park itself and also to ease the challenge of pulling out of tight spots. Finally, a new rear end on this cute ute resembles that of its Fusion cousin, while higher trims will boast wall-to-wall taillights like Lincoln’s latest MKX iteration. The grille and front fascia also get a few nips and tucks, though these are not nearly as noticeable as the rearward redesign. Appearance and creature comforts, you ask? Well, depending on the trim selected, look for the new and improved Edge to sport 18-inch alloy wheels and a panoramic sunroof on the outside, with cloth or leather upholstery, full power accessories and heated power-adjustable front seats adorning the interior. Of course cruise control and telescoping tilt-wheel steering return from the last-gen Edge, as do a rear-view camera and various levels of Ford’s touted Sync and MyFord Touch infotainment and hands-free technology, each integrated via Bluetooth. Also returning for 2015 are things like rear parking sensors, memory for driver's settings and a remote garage door opener, while the Sport and Titanium should again flaunt a 390-watt Sony premium audio system slated to boast 12 speakers, satellite radio, a video monitor and a memory-card slot. The 2015 Sport trim, meantime, also adds in a reworked sport-tuned suspension, as well as 22-inch painted alloy wheels and some unique exterior styling features, while the new Titanium variant is scheduled to pile its posh on the improved touring suspension. Options-wise, a brand-new active noise-cancellation feature should become available for the Sport trim in 2015, while the above-mentioned Enhanced Parking Assist and adaptive steering also hop on the options list for all third-generation Edge variations. Additionally, an available hands-free rear liftgate that can be opened and closed simply by sweeping a foot under the rear bumper debuts. Carryover options, meanwhile, include adaptive cruise control with forward collision warning, lane-keeping assist (also interfaced with the brand-new 180-degree forward-mounted camera) and blind-spot monitoring. Available Sync-interfaced navigation and rear-seat DVD entertainment, needless to say, are also slated to return. To finish up, standard safety equipment in the 2015 Edge lineup again should include 4-wheel antilock brakes (ABS), traction and stability control, front side-mounted airbags, and front and rear head airbags, as well as new-for-2015 inflatable rear seatbelts and a glovebox-mounted front passenger knee airbag. The standard post-collision safety system carries over from 2014, as does Ford’s teen-oriented programmable MyKey speed and audio limiting feature and Sync-interfaced emergency assistance communications and alerts. 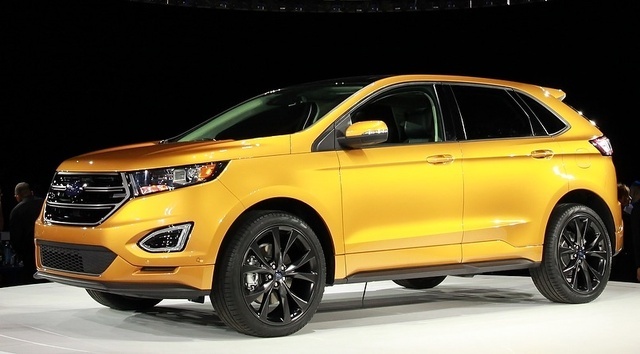 What's your take on the 2015 Ford Edge? whofan60 6000 miles and it had a the lost power that many have experience ..My wife and i stalled out in very critical places. Getting on the freeway was first.It was towed to the dealer after trying to get back home 4 miles and only made it a mile and half with this stalling out problem almost 15 times in less then 2 miles!! Once we almost stalled in a intersection!! !..We were approaching some train tracks and it stalled again 20 feet away!! Told my wife thats it and called the dealer and they sent a tow truck..While waiting a train came by!! this problem is going to get someone killed! !..Was reading the forum from others and it seems this problem has been going on over 7 years and maybe longer! !Why hasn't something been done..Risking people lives just to sell cars!! I can tell you i am more then pissed.! My wife is a Ford person all her life and she really wanted this Edge SE..Seemed like a good safe vehicle..Now i am stuck in a contract and have to worry EVERY DAY my wife may be killed ..NOT GOOD!! Users ranked 2015 Ford Edge against other cars which they drove/owned. Each ranking was based on 9 categories. Here is the summary of top rankings. Have you driven a 2015 Ford Edge? We just got back from a long trip and now the back hatch won't open.